Tu Ungane (Swahili, pronounced TOO une-GAH-nay) means "Let's join together" and refers both to musicians coming together to play as well as African and Western styles merging musically. Western musical styles such as Gospel, Blues, and Jazz owe much to African influence. African music has been influenced by the West as well, fusing British military and brass band music, along with the hymns and songs of missionaries from Europe and the United States, with tribal folk elements. 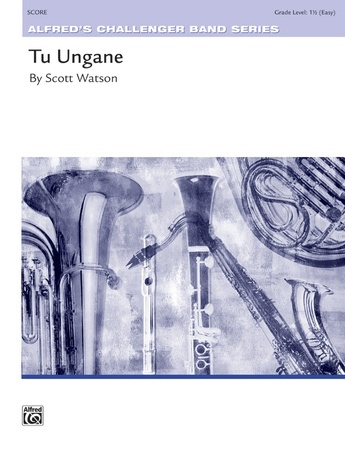 Tu Ungane explores this musical cross-pollination incorporating the Tanzanian folk song "Asali Ya Nyuki" ("Honey of Bees") and original musical material in the style of the British-African fusion. This title is available in SmartMusic.